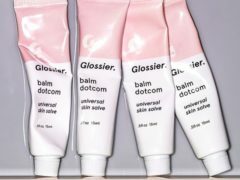 As you all know I absolutely adore the brand Glossier! I’ve mentioned this previously but it’s definitely the “cool girl” beauty brand of the moment with its no frills and all chic approach. Last Friday as I was getting ready for a night out, I got an e-mail from one of the Glossier Community Managers, Samantha, letting me know that she loves the content I’ve been producing and that they are interested in me becoming a rep for the brand! When I tell you I was over the moon ..OMG. I immediately texted my best friend because she’s just as beauty obsessed as I am — especially with Glossier. 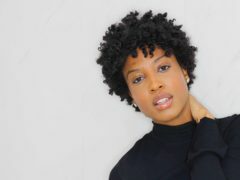 Now that I’m an official rep for the brand I have my own page; glossier.com/reps/aishabeau. Where you can learn little more about me and the Glossier products that are my favorites. Also, whenever any of my readers visits through my website you’ll be able to receive 10% off of your first order and free shipping on any orders over $30. 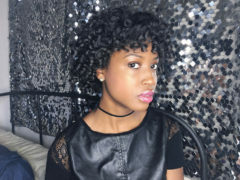 Shop with me! 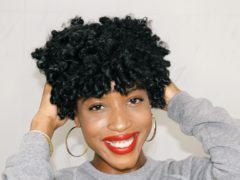 Super Easy High Puff Tutorial for Natural Hair! How did you become a Glossier rep? Hi Emily! One of their community managers started following me on Instagram and then e-mailed asking me to become one. She said she liked my content! Glossier Launched their Lidstar Eyeshadow During the Oscars, My Girlfriends and I Were the First to Try Them Out!